1 page poetry composition. Please specify your preference for the one verse variety, or if you'd rather several verses of poetry. Any work to exceed 5 pages, regardless of content, will require an additional $5.00 per page. Also, if it is just ONE page of an assignment or project that needs adjusting, the fee of $19.99 is not applicable. ONE PAGE corrections will be much lower. Please contact me for further information. 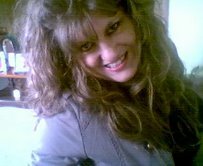 I love what I do, and I am confident of doing it to the very best of my abilities, but it is tremendously time-consuming. In order to throw my heart and soul into this website, I have decided to end my present means of employment. 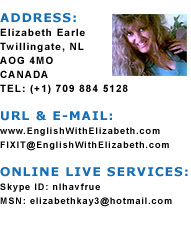 If www.englishwithelizabeth.com is successful, future fees for my services may decrease.